Something we've noticed about the PlayStation brand-- at least the home consoles-- is that they launch with a rather underwhelming lineup. 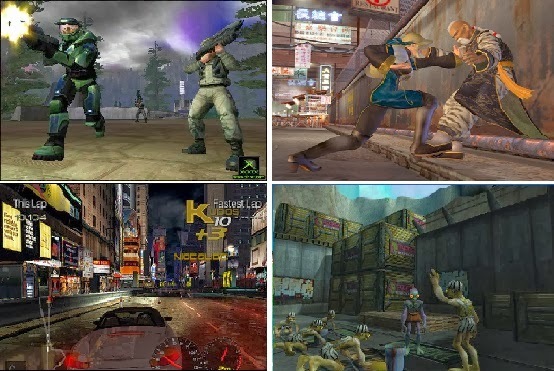 Of the three current home consoles released now, the PlayStation 2 was the one with the best launch lineup. There was really no ONE game that sat on store shelves yelling, "BUY ME AT ONCE!" but there were several titles worth checking out. 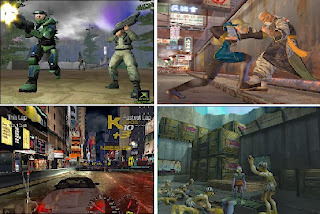 Such games include TimeSplitters, SSX, Dynasty Warriors 2, Midnight Club: Street Racing, Ridge Racer V (the series is a mainstay of most PlayStation system launches), and Tekken Tag Tournament. As you can see, nothing that was a true "killer app", but enough games that made the whole lineup work. The Wii U actually had a wonderful launch lineup, especially if you hadn't played many of the ports it received from other platforms. 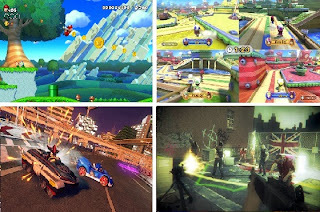 The Wii U offered a brand-new and high quality 2D Mario with New Super Mario Bros. U, a collection of Nintendo-centric mini-games that each brought an interesting take on using the new GamePad with Nintendo Land, one of the scariest games of all time, and still one of the best uses of the GamePad with ZombiU, and you had several ports that were mostly fantastic, such as Sonic & All-Stars Racing Transformed, Skylanders: Giants, Batman: Arkham City - Armored Edition, Darksiders II, and Mass Effect 3: Special Edition. 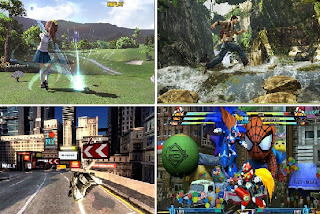 The Wii craze started off with a marvelous mix of software at its launch that featured many genres. 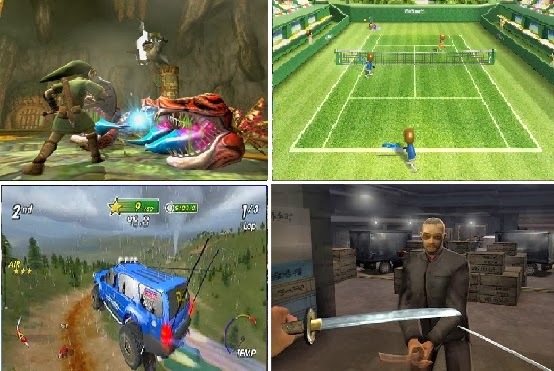 The top titles were, of course, The Legend of Zelda: Twilight Princess and Wii Sports. The latter of which was the game that made the system hard to track down, as it was sold out literally everywhere. However, let's not forget the impact of having a freaking Zelda game at a console's launch. There was something for both the core and casual consumers. 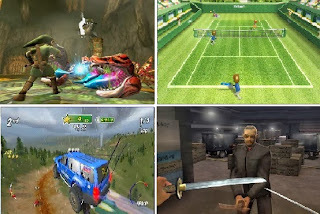 Meanwhile, you had intriguing uses of the Wii Remote with games like the awesome arcade racer Excite Truck, Ubisoft's Red Steel and Rayman Raving Rabbids, Activision's Call of Duty 3, and finally, Trauma Center: Second Opinion. There was some disappointment with the 2005 launch of the Xbox 360. A lot of the cross-generation games didn't look that differently from their past generation counterparts. However, the titles that were built from the ground up on the Xbox 360 looked quite nice. Now, we'll get a lot of criticism for this, but we really enjoyed Perfect Dark Zero. The campaign was cheesy as all get out, but we liked the objective-based mission structure. The multiplayer was the system's best for a good while. It's still a blast to play. Then you had another Rareware title, Kameo: Elements of Power. 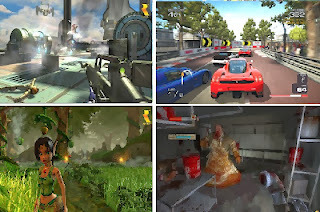 Alongside those two games were Condemned: Criminal Origins, Call of Duty 2, Quake 4, Project Gotham Racing 3, and Amped. A diversified lineup definitely! If you ask someone about the game they liked most regarding the original Xbox launch lineup, they'll probably mention Halo: Combat Evolved. However, that wasn't the limit of the Xbox's lineup at launch. 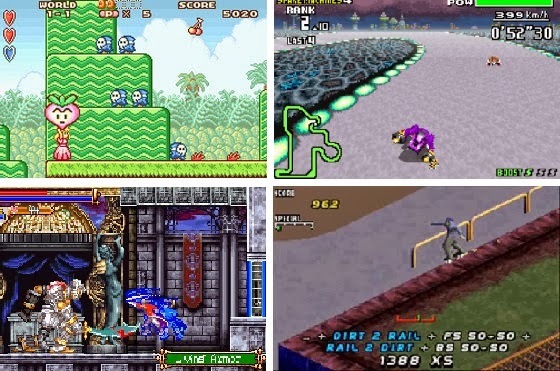 No, we saw a handful of truly terrific titles that made us reconsider our thoughts about Microsoft's first entry into the video game home console race. 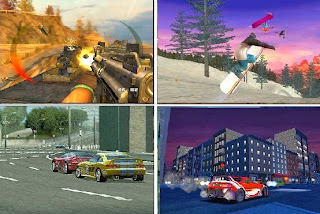 There was Dead or Alive 3, Project Gotham Racing, Oddworld: Munch's Oddysee, the cel-shaded Cel Damage, and Tony Hawk's Pro Skater 2X, bringing back many classic stages of the first two Tony Hawk games and even Xbox-exclusive content. If your only memories of the first Xbox are all about Halo, you must have missed out on the other notable launch titles that came out when the big, bad, black box released. The Super Nintendo didn't launch with 15+ games like so many platforms do nowadays, but Nintendo's 16-bit beauty went with quality over quantity. You had the best 2D platformer in gaming history launching with the console, Super Mario World. (You're free to argue against that.) You had two Mode 7 wonders with the start of the fantastic futuristic racing franchise F-Zero and the debut of the Pilotwings series, and you had the phenomenal manic shooter Gradius III and the famous SimCity series appearing on Nintendo's systems. 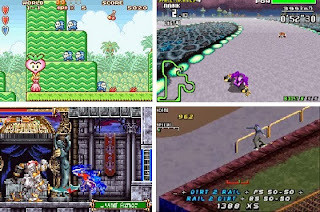 Not a bad launch at all, as you had five great games to choose from that still play terrifically today. 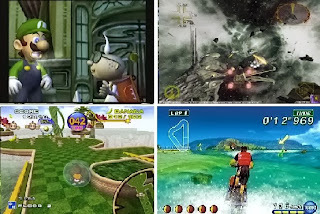 One of our most loved underrated consoles is the GameCube, and the system started out rather strong with some nice launch titles. The GameCube bucked the trend of a Nintendo system launching with a Super Mario game. Instead, Luigi took center stage with the charming Luigi's Mansion. Launch GameCube systems owners also enjoyed the technically sublime and still to this day jaw-dropping Star Wars Rogue Squadron II: Rogue Leader, the start of a great arcade franchise in Super Monkey Ball, a classic Dreamcast game put on Nintendo's system in Crazy Taxi, a wet and wild racing game in Wave Race: Blue Storm, and our favorite skateboarding game, Tony Hawk's Pro Skater 3. It was a diverse lineup that was filled with some very unique and very entertaining games. We were so astounded as younger versions of ourselves when we had what was essentially a portable SNES in our hands. (Just imagine our reaction now that we're playing PS3-caliber portables!) The Game Boy Advance launch had a plethora of great software to play. 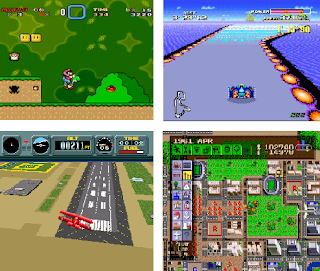 We enjoyed a portable version of Super Mario Bros. 2 with Super Mario Advance, sped through futuristic tracks in F-Zero: Maximum Velocity, laid the smack down on sorry souls with Fire Pro Wrestling, raced with several classic Konami characters in Konami Krazy Racers, shredded things up with a visually impressive take on the Tony Hawk series with the isometric Tony Hawk's Pro Skater 2, went all Metroidvania with Castlevania: Circle of the Moon, and had memories of middle school with Super Dodge Ball Advance. The Game Boy Advance launch lineup was the gift that kept on giving as we dove deeper into what the system initially had to offer. Evidence that having a stellar launch lineup means very little (read: squat) in the long run, Sony's PlayStation Vita had an incredible arsenal of games available on launch day. You had a portable entry in the Uncharted series that played and looked almost as well as its bigger brothers, you had the technical showcase and fast, frenetic fun of Wipeout 2048, you had a new entry in the excellent Hot Shots Golf series, you had a tremendous port of one of the greatest platformers of the seventh generation, Rayman Origins, and you had many other games like Ninja Gaiden Sigma Plus, Ultimate Marvel VS. Capcom 3, Dynasty Warriors Next, and Lumines Electronic Symphony. The PlayStation Vita had plenty of lovely software at launch. It's a real shame how much it is struggling. After struggling mightily with the Saturn, SEGA went all out with their 9/9/99 launch of their final home console, the Dreamcast. The sheer number of excellent games available at launch signaled to plenty of people knew that SEGA meant business. 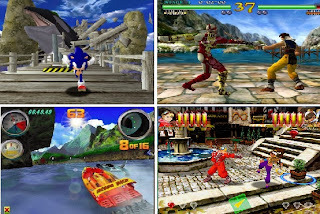 The first console of the sixth generation, the Dreamcast impressed with its power, its speed, its technical proficiency with games like Sonic Adventure, Soulcalibur, and delighted with fun games like The House of the Dead 2, Hydro Thunder, Power Stone, and Ready to Rumble Boxing. The Dreamcast may have had a sad and premature death, but its launch is still one of the best.